Creek Lady Healer: COME BEGIN YOUR JOURNEY IN REIKI THIS WEEKEND! COME BEGIN YOUR JOURNEY IN REIKI THIS WEEKEND! I HAVE RECEIVED ANOTHER UPGRADE TO USUI/HOLY FIRE III REIKI!!!! if you want to join this class. taught on the same weekend. to sign up and reserve your spot! Reiki was developed in Japan in 1922 by Mikao Usui and was brought to the West in 1937 by Hawayo Takata. Learn the Usui Traditions of Reiki Healing. Nancy is a licensed ICRT Reiki Master and a Holy Fire Karuna Reiki Master. These classes will give you the attunements which allow you to work as a Reiki Healer. 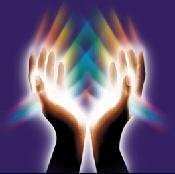 Holy Fire Reiki is a new form of Reiki being introduced by the ICRT. It is both powerful and gentle and provides purification, healing, empowerment and guidance. It is included as part of our Usui Reiki classes and has also been added to Karuna Reiki® training.